My computer and scanner are talking to each other again. More to the point, I can understand 'em. HRD/ Vincent Rapide & Steib sidecar. 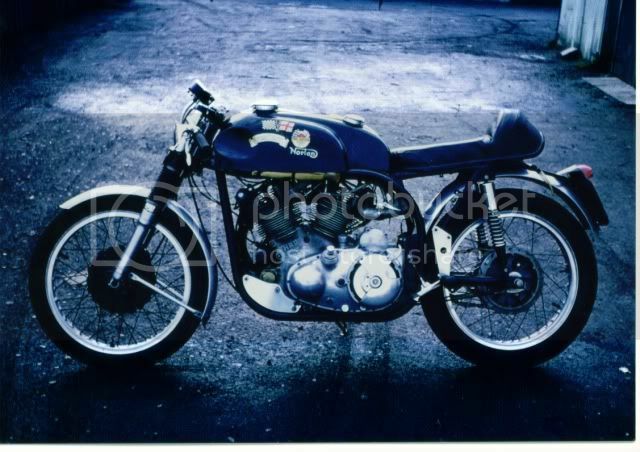 Manx Norton with Triumph 500cc engine. 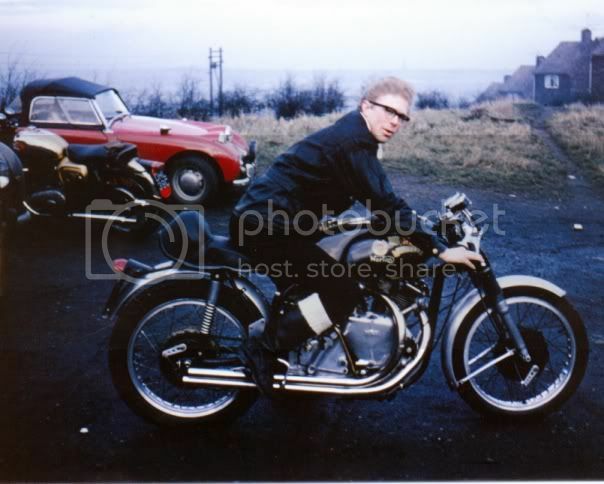 The sidecar was fitted to the BSA, and sold. By the time it was completed, we bunch of friends were all going our separate ways. Once had a Series C Black Shadow engine and a Featherbed frame with similar ambitions ... came to nowt. No Time. No Skill. Did you make the engine plates yourselves? I bought some, which, to be polite, were an indifferent fit. I believe it was necessary to chop the crankcase casting lug off where the rear sub-frame pivot went ?? Wonder what happened to engine # F10/AB/1B/7767 ???? Seeing what 'C' Shadows fetch now ... well ..
Had some 35mm contact prints of me in me Greaser Days ... had to dump 'em. 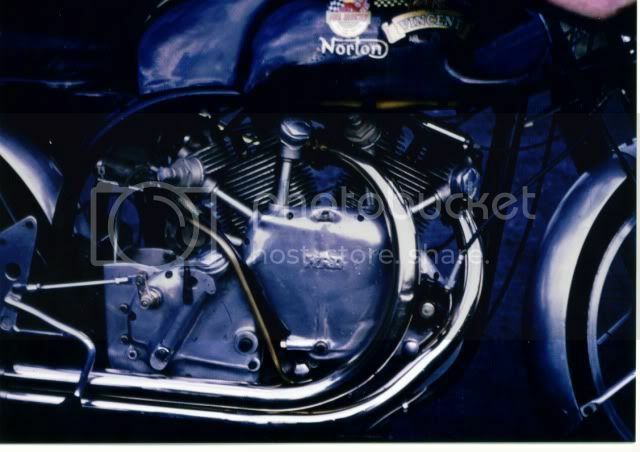 Didn't Ogri have a NorVin at one time? 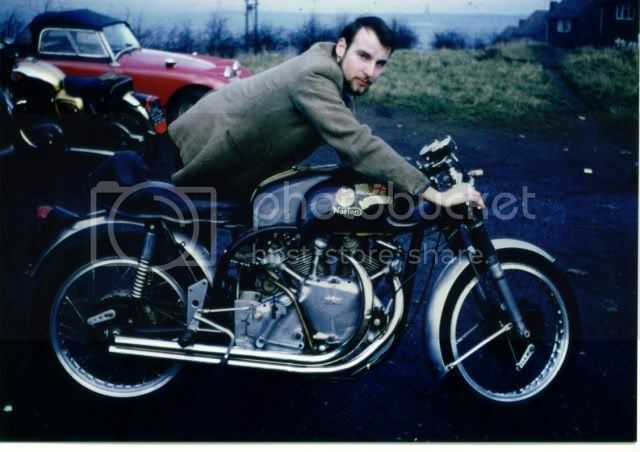 When did you last see a Manx Norton, with a headlight?